Has there ever been a film as damaging to a company as "Blackfish"? Shares of SeaWorld Entertainment (SEAS) fell to a record low Wednesday after the company reported a disappointing quarter due, in part, to "negative media attention." Earnings fell by 28 percent in the quarter, which is traditionally the busiest time of the year for the theme park. Attendance across all the company's parks fell more than 5 percent to 8.4 million. "Clearly, 2014 has failed to meet our expectations," chief executive Jim Atchison said in a conference call with analysts Tuesday. Atchison didn't mention "Blackfish," a 2013 movie that criticized the way SeaWorld treats its whales, but the impact from the documentary continues to reverberate across the company. One state lawmaker introduced a bill this year that would ban live whale shows and force SeaWorld to relocate its whales to a larger pen. The legislation has been put on hold until next year. "Blackfish" has mobilized animal rights activists and strained SeaWorld's corporate partnerships. Virgin America, Alaska Air (ALK) and Southwest Airlines (LUV) have pared back sales and marketing deals with the theme park. SeaWorld was also hurt in the quarter by new exhibits at other theme parks, including a new Harry Potter attraction at Universal Orlando. The company missed analyst expectations for both sales and profit. Revenue fell to $495.8 million from $538.4 million a year earlier, and profit dropped to $87.2 million from $120.7 million. The company has a plan to deal with the negative publicity and the financial fallout, and is aiming for $50 million in cost cuts by the end of next year. It will funnel some of that money into increased advertising and marketing for its parks, Atchison said in the call with analysts. "We think that we've got a good plan in place overall for 2015," he added. Not everyone seems convinced. Shares have fallen more than 50 percent since March to close at $16.85 Wednesday. 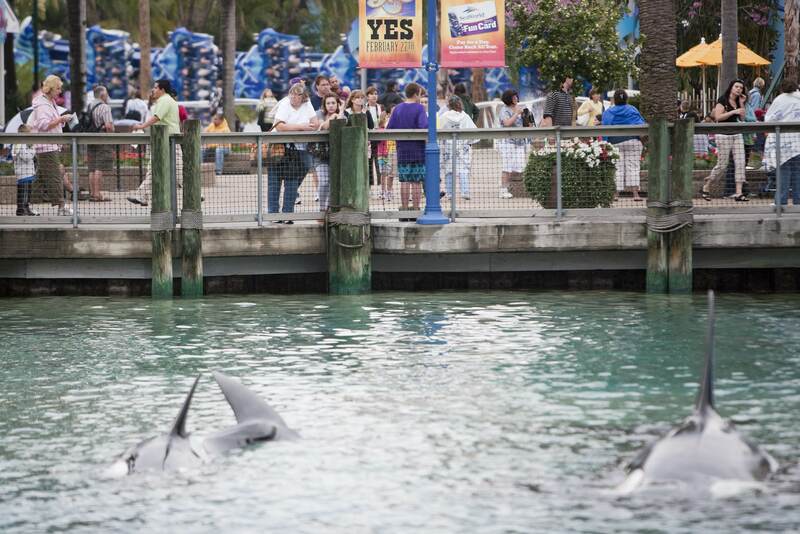 But Barton Crockett, an analyst with FBR Capital Markets, noted that SeaWorld stayed within its financial guidance during the quarter, which could suggest improving trends in the current quarter.